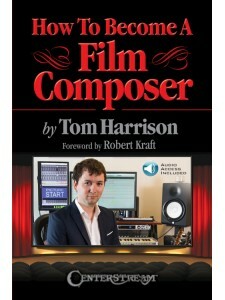 Tom Harrison's book gives up-and-coming composers the inspiration, information and the tools necessary to succeed in today's music for media industry. Harrison has spent years working on the front line in Hollywood, where he has held key positions on music teams for some of the world's most successful television shows. His own music can be heard all over television on projects ranging from Dateline NBC and The Voice to NBC Golf tournaments, WWW Monday Night Raw and beyond. 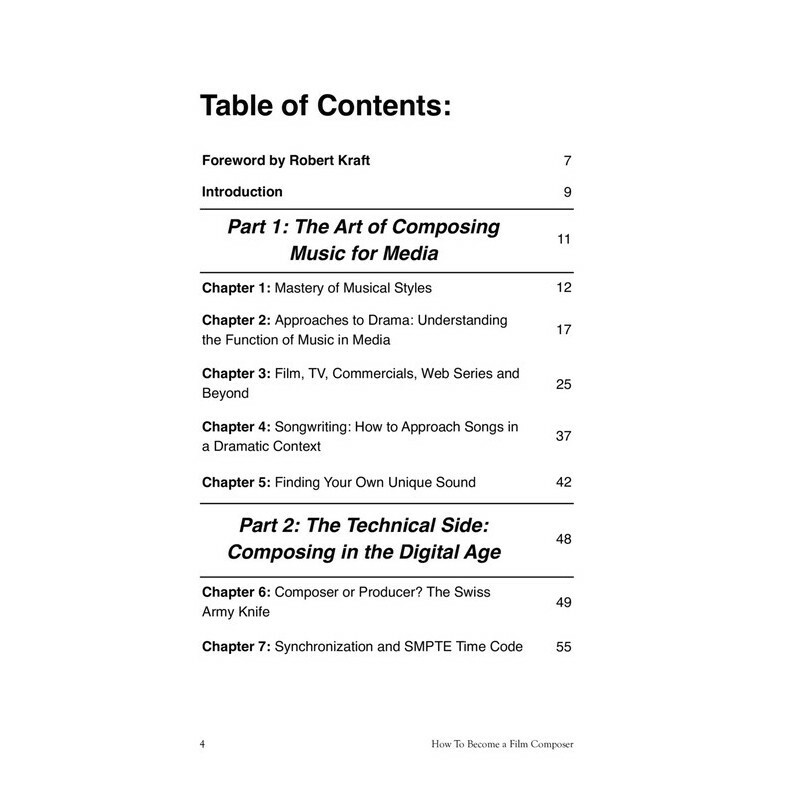 How to Become a Film Composer begins with breaking down how to approach music in a dramatic context and how to cultivate your own unique sound. 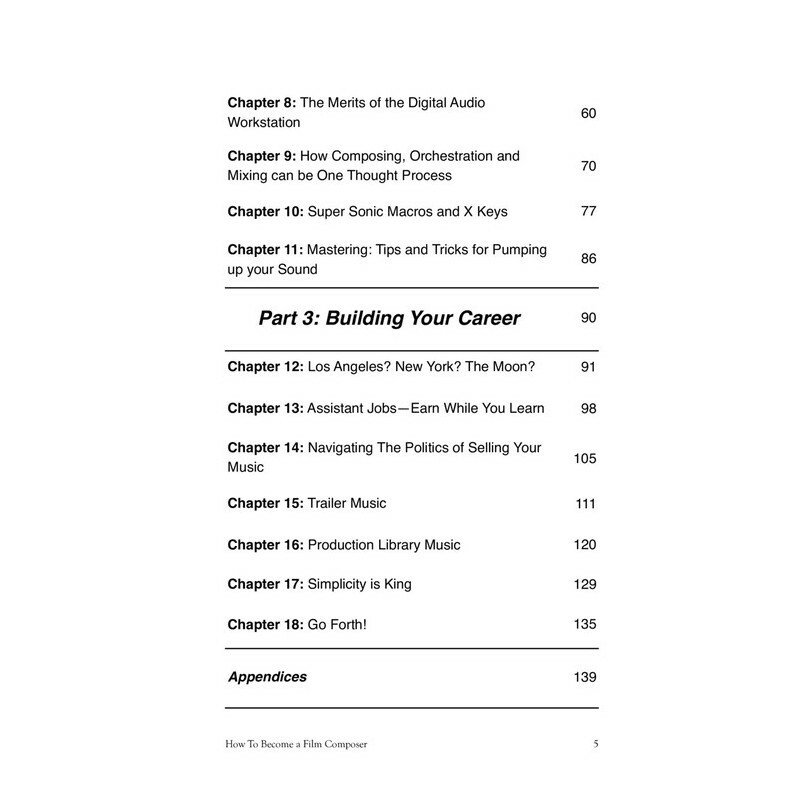 Next, Harrison covers the technical computer skills needed to work in this digital era of music production and finally provides a thorough guide to building a successful career. 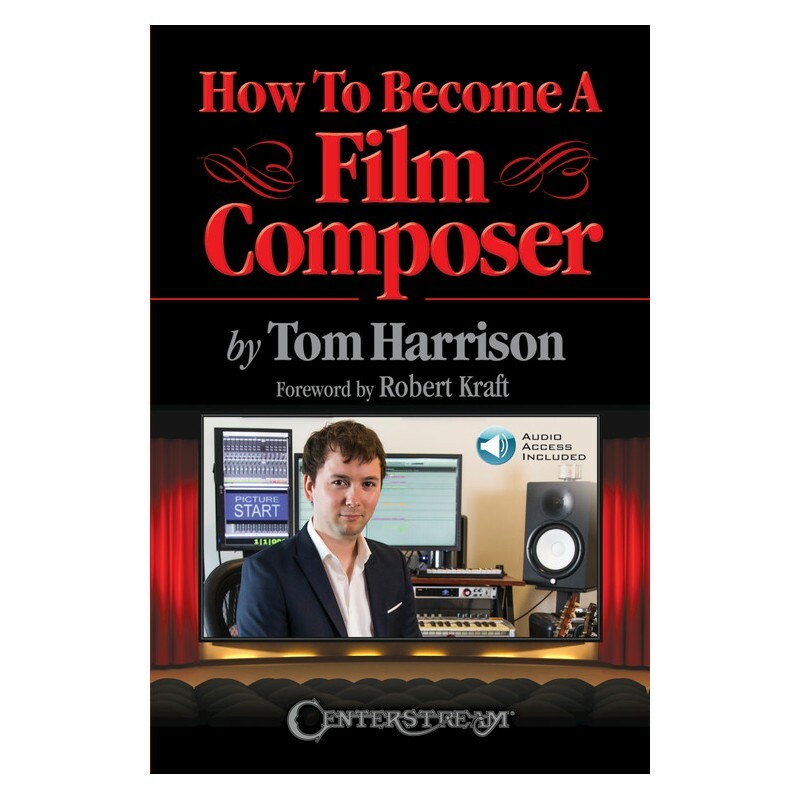 Whether you are a young student or a seasoned musician, if you want to learn more about what it takes to become a film composer, this is the book for you.